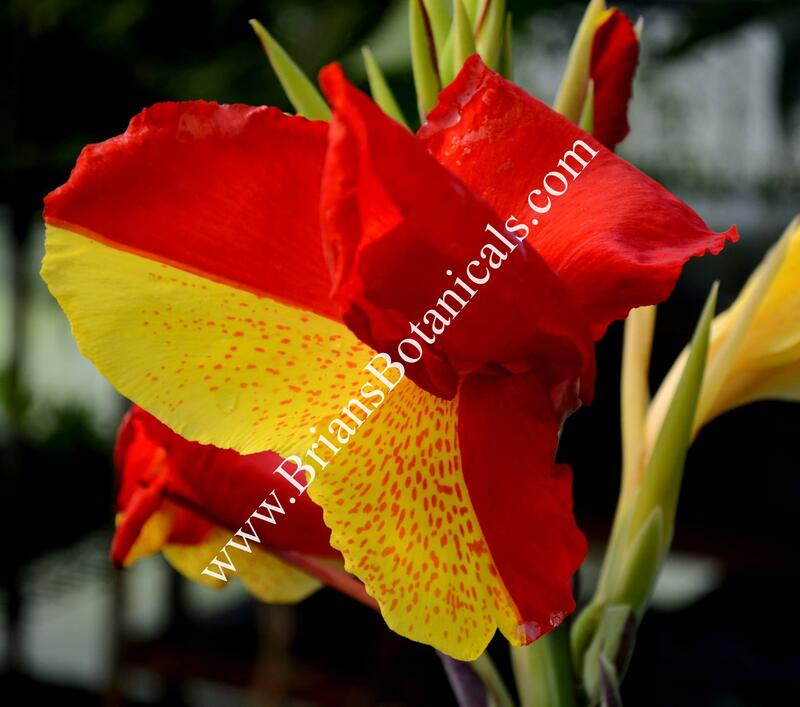 Canna Cleopatra is a very beautiful and odd canna. Plants usually have variegated leaves of green to dark red foliage. The plant is a chimera having two sets of chromosomes. So in a sense this is two separate plants with different traits grown together. So this very schizophrenic plant may at times have dark leaves or green leaves and this trait runs into the flowers as well. If the plant is green you will have yellow flowers with red spots. But if the streaks or flower stalk is dark red the flowers will also be red. A very interesting plant and unique in any garden. Plants may vary with variegation so no two plants are identical. Plants sold in 4 1/2 inch pots.